Jaipur is the capital city of the land of the kings, the largest Indian state, Rajasthan. It’s also known as the Pink City as the wall of the old city are painted in pink color (which looks like orange to me…). The city has a few famous landmarks. 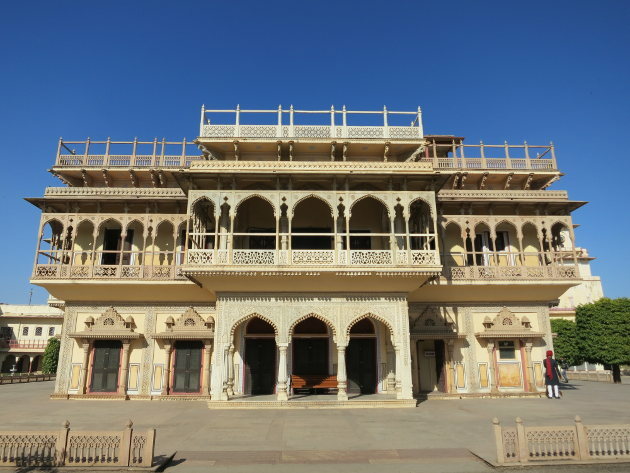 The City Palace, located in the center of the old city was the residence of the Maharajas and is still used by its descendants. It’s quite an impressive complex with multiple palaces and a big armory. Next to the City Palace is the Jantar Mantar which is an astronomical observatory where instruments are huge architectural structures. The biggest one is 27m high ans is also the most precise sundial ever built. The best sight in Jaipur is not in the city but a few kilometers away. 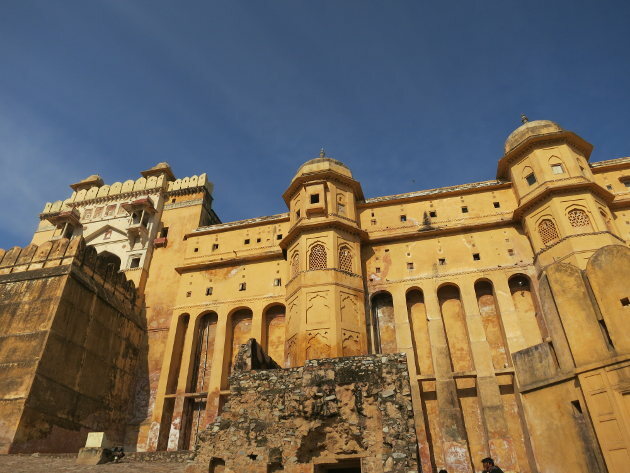 The Amber Fort is an amazing structure built on top of hill and overlooking a lake. The inside is a series of courtyards and palaces. It can be quite a maze to navigate through the corridors. 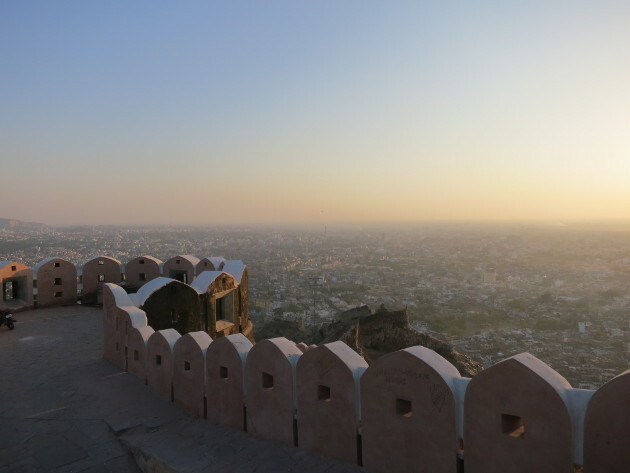 To end the day, the Nahargarh Fort which is overlooking Jaipur is a great place to be at sunset. The best way to go up there is by foot using the path which starts at the northeast of the old city. It’s a steep 2 km walk but that is well worth it compared to the long rickshaw ride. We had a good time in Jaipur. The place where we stayed, Anuraag Villa, was really nice, we enjoyed very good food at Niro’s and overall the city was much more pleasant to be in than the last two ones.